Microwaved Cat is Rescued by Animals Lebanon! | Melissa Tabeek. Microwaved Cat is Rescued by Animals Lebanon! Bousbous! Courtesy of Animals Lebanon. 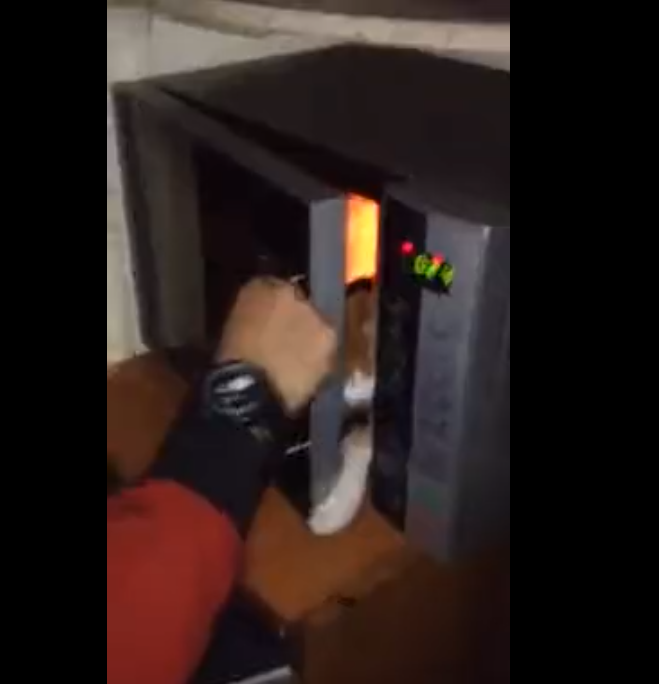 A video went viral this past week of a young Lebanese man, Hassan Hammoud, microwaving his cat, Bousbous, sparking outrage not only in Lebanon, but internationally as the story was picked up by global outlets, such as The Huffington Post UK and Al Jazeera, among others. The incident brought attention not only to Hammoud and his friend, Mohammad Jallad, who filmed and posted the video, but to the archaic animal rights legislation in the country. 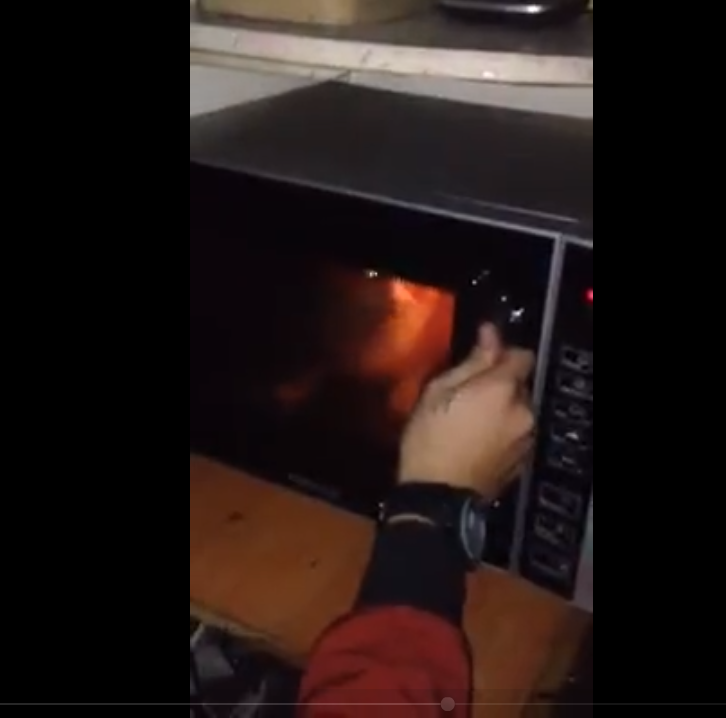 For the rare person who missed the video and subsequent coverage, Bousbous was put into a microwave by Hammoud, the first time for a couple of seconds, then again roughly shoved back in for several more seconds before he was pulled out and Jallad stopped filming. The majority of the comments across social media ranged from shaming to super violent, with many threatening to retaliate against the two for what they had done to the cat. A Facebook page was even created in wake of the video titled “Stop the Criminals Mohammad Jallad & Hassan Hammoud – Animals Abusers.” The page has been documenting the story as it has developed, but they have posted that later today, they will be deleting the page, now that all has been resolved. Initially, both Jallad and Hammoud issued videotaped apologies (Mohammad’s, Hassan’s) that many rejected on social media as not being genuine. But with the help of Lebanese comedian Nemr Abou Nassar, a meeting was finally arranged to hand over Bousbous to Animals Lebanon on Monday. (See the video of what happened at the organization here). Instead of just “bitching on Facebook,” Nassar decided he would try to do something. He checked out Jallad on social media and saw that he rapped about listening to your parents and being one with God, which made him think that these were guys who could be reasoned with. After many phone conversations between first Jallad, then eventually Hammoud, he was able to convince them that giving Bousbous to Animals Lebanon was the right thing to do – both for themselves, and for the cat. “It’s very rare for me to try something and not be able to do it,” Nassar said. Indeed, he was able to, with the help of the community and all parties concerned about Bousbous, including Animals Lebanon, who he was in constant contact with throughout the entire ordeal. After viewing this video, “the highest example of what not to do because we have opposable thumbs,” his motivation from the beginning was that the cat was in trouble, and it was his responsibility to do something. Ultimately he pointed to the positive, saying that the experience was a great way to see that repercussions don’t always have to come from the law, but rather sometimes can be done by talking. “It was the community responding in a very good way,” Nassar said. Bousbous is now resting peacefully in the care of the staff of Animals Lebanon and is sure to have a waiting list of people excited to adopt him. In an interview with Animals Lebanon, Hassan acknowledged his mistake and urged others not to follow his example as he followed someone else’s on YouTube who nuked a chick in their microwave. Both he and Mohammed seemed sincere as they repented and have agreed to do 150 hours of community service to the organization, although there is no legal way to enforce this. This story exemplifies an ongoing issue for the rights of animals in Lebanon. Though Bousbous is now vaccinated, healthy and ready to be adopted, this is not the case for most animals in the country. A huge part of this is because of the laws, or the lack thereof – the one that would punish Hassan, if enforced (it hasn’t been in 20 years), would be the equivalent to a financial tap on the hand. Less than $15. We should all celebrate Bousbous’ rescue, but keep in mind that there are many more steps to go before animal rights will be protected in Lebanon. Ugh, poor kitty! THIS IS AWFUL! I’m sure there will be some sort of long term, residual damage. I wouldn’t be surprised if this kitty ends up passing away from the radiation. This really should be a wake up call to anybody who might be able to make a difference for these animals who can’t do anything for themselves. I know! The cat has actually been vaccinated and is fine, waiting for adoption now 🙂 It’s a happy ending for Bousbous!